Strong, pliable and fully conditioned, Oiled Latigo is hot dipped in a special mix of oils, waxes and tallows. Reinforced to withstand the elements, the lighter colors have a rich pull-up and display strong character. 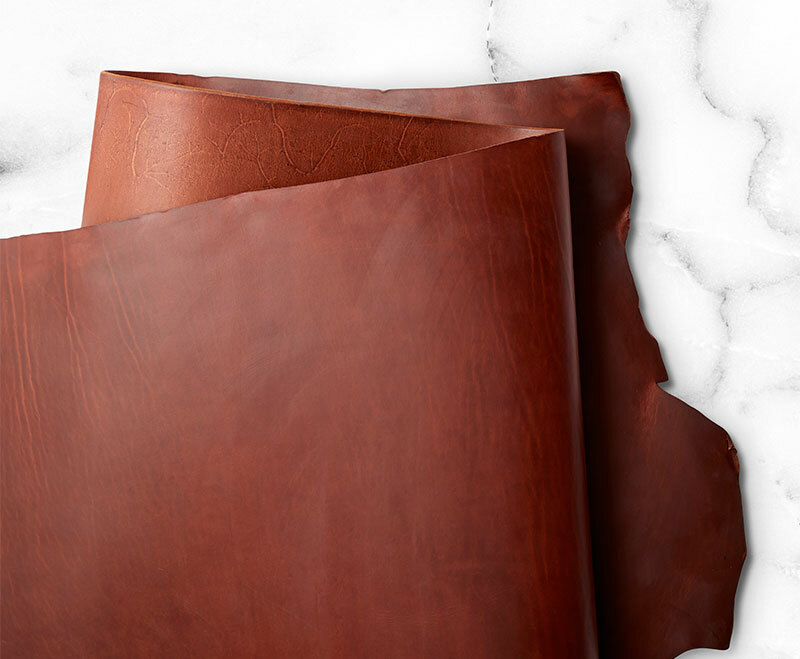 Crafted in both a firmer and softer temper, the leather’s high concentration of oils could cause leaching. Stocked in a series of weights ranging from 8-14oz. Custom splitting is also available down to 2-3oz.